Bedrijven - RIVVUR: krijg leads door uw klanten te belonen! 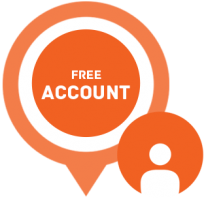 CREATE YOUR (FREE AND NON-BINDING) ACCOUNT NOW AND DISCOVER THE POSSIBILITIES OF RIVVUR. Only pay once you actually receive new leads. When looking for a new product or service, what would you trust most: the recommendation of a company or the opinion of your best friend? Now you can have your clients generate new customers for you! Thanks to Rivvur you can now actively encourage word of mouth advertising. Offer your clients an easy and fun way to recommend your business to friends, family or acquaintances. Encourage your clients by rewarding each recommendation. You decide the value of the reward. Offer your potential new clients a special introductory offer. If interested, they will let you know and you will receive their contact details in your email box. You only pay Rivvur once you actually receive recommendations and leads. We do not charge any start up fees or licensing fees. Create your account now. It’s free and without any obligations. ✔ Register your company with Rivvur. ✔ You decide the reward for any recommendations and contact requests. ✔ They will look up your company and recommend you to friends, family and acquaintances. ✔ The person receiving the recommendation will be sent an SMS by us with a link to more information about your company. This works for every mobile phone with an internet connection. ✔ Indicate in the Rivvur dashboard which information you want potential clients to see and whether you want to make them an introductory offer. ✔ Is the receiver interested in your company? He or she will then send a contact request. These new leads will be sent to your inbox. WHAT ARE THE COSTS OF RIVVUR? We charge you 20% of your reward for new clients, with a minimum of 1,00 € for a recommendation, and 1,00 € for a sales lead. So it’s not free, but it is without any risks. You only pay once you actually receive recommendations and once new leads are generated. Experience the benefits of RIVVUR for your company now. No risks, you only pay once you actually receive recommendations. Please contact us and we will gladly tell you all about the possibilities of Rivvur. HOW DOES WORD OF MOUTH ADVERTISING WORK? Clients are more than numbers. They are actual people, social beings who love to share their experiences with each other.